Nearly half of Britons hold anti-Semitic views, a survey has revealed. It also found that one in eight Brits surveyed (13 percent) thought Jews used talking about the Holocaust to get sympathy. The Campaign Against Anti-Semitism (CAA), which commissioned the study, said Britain was at a “tipping point” in its Annual Anti-Semitism Barometer report. Gideon Falter, chairman of the CAA, said: “The results of our survey are a shocking wake-up call straight after the atrocities in Paris. Around 269,000 Jewish people live in the UK, or 0.4 percent of the British population, according to CAA. The survey also found that one in 10 people (11 percent) claimed Jews were not as honest in business as other people, while one in five believed their loyalty to Israel made UK Jewish citizens less loyal to the UK, and 10 percent of all surveyed said they would be unhappy if a relative married a Jewish person. Last year, police recorded a record number of anti-Semitic attacks. Communities Secretary Eric Pickles told the Daily Mail: “Jews are an important part of the British community, and we would be diminished without them. To get the perspective of Jews living in the UK on the issue, the CAA polled British Jews in a separate survey. Of the 2,230 people polled, 54 percent said they feared they had no future in the UK and a quarter (25 percent) said they have considered leaving the country in the last two years. It found that 56 percent felt that anti-Semitism now echoes the 1930s, while 58 percent believed Jews may have no long-term future in Europe. 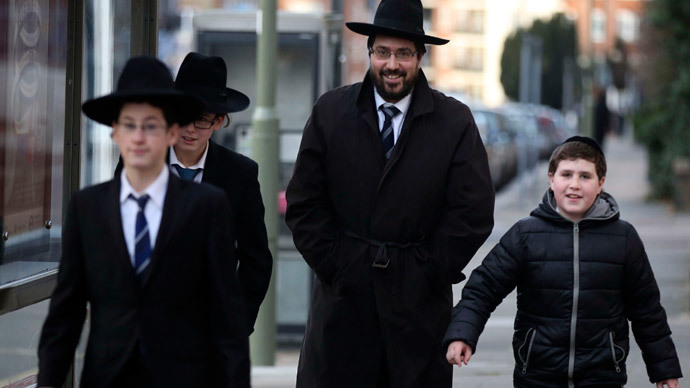 In addition, around 45 percent felt their family was threatened by Islamist extremism, while 63 percent thought authorities let too much anti-Semitism go unpunished. A member of the CAA campaign, Jonathan Sacerdoti, responded: “Jewish people have contributed to almost every part of British life, yet rising anti-Semitism here and across Europe means that now more than ever Jews are afraid. Some are even reconsidering their future here.